Dr. Andrew Stewart - B.S.A., M.A., LL.D., D.Sc.Econ. - was 54 years of age when he entered broadcasting. Prior to November 10, 1958, he had spent 23 years at the University of Alberta - as a Lecturer in and Professor of Political Economy, Dean of Business Affairs, and for 9 years as President. Dr. Stewart had come to Canada from his native Scotland in 1929 to accept a post as Lecturer in Agricultural Economics at the University of Manitoba - beginning a distinguished career of service to Canadians that ultimately lead to his appointment in 1958 by the Rt. Honourable John Diefenbaker, Prime Minister of Canada, as Chairman of the first independent regulatory body on Canadian broadcasting - the Board of Broadcast Governors. Over many years, the private broadcasters in Canada had complained vociferously about the control over them of the Canadian Broadcasting Corporation, which was not only a competitor for advertising, talent and places on the dial, but also their regulator. In the late 50s, Canadian television viewers were clamouring for alternative programming to the single TV system that existed; AM broadcasters with (frozen) FM licences wanted to go into separate programming, and in stereo, and cable TV systems were popping up in various parts of the country. It would fall to Dr. Stewart and the members of the Board of Broadcast Governors to deal with these and other such matters - to chart and administer policy and to decide to whom to give new licences. The Board consisted of 3 full-time members, and 9 part-time members from representative parts of Canada. Like all of the original 12 appointees, Dr.Stewart was unfamiliar with broadcasting, and to the day of his death, held he had no knowledge as to the process by which he had been selected. Initially, he was approached by the Honourable George Nowlan, to whose ministry the Board would report. However, he had served on several royal commissions which were created by different governments, and observers concluded his political impartiality was a factor in his being chosen to head the BBG. During his regime, which has been described as "a watershed decade in the development of Canadian broadcasting", Dr. Stewart dealt with a multitude of controversial situations as applicants vied for "second" TV stations, networks, new AM and FM stations, power increases, CATV systems; handled program complaints from viewers and listeners; oversaw the introduction of colour TV and recognized a Canadian recording as a unit of Canadian radio programming. In 1968, the Government replaced the Broadcasting Act of 1958. The BBG was succeeded by the Canadian Radio-television and Telecommunications Commission (CRTC). Dr. Stewart had tendered his resignation to take effect March 18th. 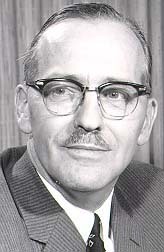 Pierre Juneau, who had been appointed a full-time member of the BBG and named Vice-Chairman in February, had immediately succeeded him, and ultimately became Chairman of the CRTC when the new Act was proclaimed April 1, 1968. In returning to private life, Dr. Stewart began to write his memoirs. However, his manuscripts were set aside when he and his wife, Jessie, proceeded to Africa with the Canadian Executive Services Overseas. On returning to Canada, he settled in Sidney, BC, where he died in 1990. "As you leave the post, a very difficult and important post, which you have filled with such devotion and distinction for the past ten years, may I thank you officially on behalf of the Government and personally, for the efficient and unselfish service to Canada that you have given, following up on many other years of service to the country in more than one capacity. The Canadian government and, indeed, the Canadian people are very much in your debt." In 1986, Dr. Andrew Stewart was honoured by the private Canadian broadcasting industry when he was inducted into the CAB Broadcast Hall of Fame.